As a former college basketball coach, a college basketball player and a human being, I find LA Clippers owner, Donald Sterling and his racist remarks in which commanded his girlfriend to not associate with people of color in public at his LA Clippers games or on Instagram, to be personally offensive. Sterling also commanded his girlfriend, who is young enough to be his granddaughter, to not publicly associate with former LA Lakers great, Magic Johnson at Clipper games because he is black. Sterling’s remarks are unbelievably ignorant and downright stupid. The NBA rosters are primarily made up African-Americans. Forty three percent of its head coaches are African-American. What could this owner of an NBA franchise, valued at $575 million, have been thinking as we he was secretly taped by his girlfriend making these racist remarks? Magic Johnson has accurately encapsulated Sterling’s racism and the damage done by these ignorant statements. No doubt, Sterling’s days as an NBA owner are limited and the NBA is going to have to bite the bullet to buy out Sterling’s interest in the Clipppers. Yes, Sterling cannot be deprived of life or property without due process of law and Sterling’s comments, although highly offensive, does not permit him to be stripped of his assets without due compensation. Any punishment of Sterling will be symbolic because natural market forces will take care of Donald Sterling. Ask yourself, who is going to want to play for this racist? His present players will leave him including his white players who are no doubt disgusted by his arcane views. Sterling’s team will have a difficult time attracting free agents. His team, under his leadership, will die a natural death. Sterling will be forced to sell his own team. Sometimes, the winds of Karma are readily apparent. No question that the Sterling comments are newsworthy if for no other reason than Sterling owns a sports franchise dominated by the skilled labor African-American players and he is obtuse racist against the same people he employs. Yet, Sterling’s ignorance and stupidity does not warrant the wall-to-wall media coverage that this tape is getting. Simply report the story, report the public outrage and finally, report the NBA’s decision on how they will handle the inappropriate racism of Donald Sterling. There are other events in the world, which pose a far greater threat to humanity that Sterling’s ignorant remarks, that impact more people, more significantly than just the ignorance of one racist man. I find that when a story is receiving this kind of incessant coverage, it is normally a cover for something that the elite does not want covered in the same simultaneous time frame in the mainstream media. Yes, if you are a first time reader, 98+% of the media is owned by the global elite through only six corporations. The news media, in the United States, is largely controlled and some stories receive disproportionate coverage in an attempt to obscure other stories where the events might serve to wake up a slumbering population as to how truly enslaved we all are. The global elite love to promote stories of racism because of how it divides the people. Last summer when Trayvon Martin was murdered by a man of mixed race, this event dominated our news for weeks and it served to increase racial division within the country. 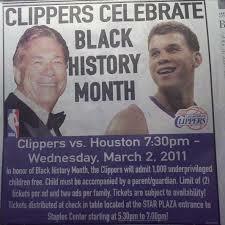 I predict that the Donald Sterling’s racist remarks is all you are going to hear over the next couple of weeks. There is political capital, for the global elite, in racism. First, it keeps the bulk of humanity from uniting against the heinous policies of the globalists which serve to kill hundreds of millions of people. Secondly, it is good for business, as our dumbed population will eat up the coming media revelations of Sterling’s philandering and racist ways to the exclusion of more significant events. Obama has already helped to fan the flames of racial division in this country as he couldn’t help reminding the American people that African-Americans will have to occasionally deal with reminders of the fact that they were once slaves. A real President would be seeking to ease tensions and remind the American people that we have come a long way in our fight against racism and we need to remain united. Unfortunately, Obama’s mission does not include building a more cohesive and perfect union. 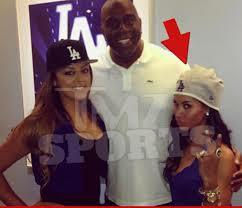 I do not know about you, but I now know all that I need to about Donald Sterling. I do not need to hear the intimate details of his life. The only newsworthy item left is the status of his ownership of the Clippers. Have any of you asked yourself the same question I am wondering about with regard to various planes? How does the media know where the Russian “Doomsday” plane is and we cannot find Flight #370? Why isn’t corporate controlled media reporting on the emerging stories of Obamacare’s death panels as treatment is beginning to get denied in this new and horribly inefficient healthcare program? It turns out that Sarah Palin was correct about death panels. Why isn’t the media reporting on three numbers which spell doom for the American people, namely, 17, 240 and 1.5 quadrillion. In these three numbers, we see the end of America as we know it. 2. America has a $240 trillion unfunded liabilities debt (e.g. Social Security, Medicare, etc.). 3. The Derivatives debt which led to the bail outs has reached a staggering $1.5 quadrillion dollars. The entire GDP of the planet is only an estimated $75 to 90 trillion dollars! An economic collapse could be in our immediate future and not a word from the mainstream media is evident on this topic. 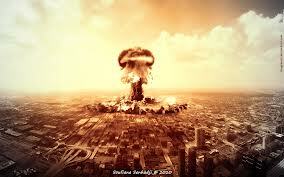 The world is moving perilously closer to war, nuclear war, in which billions could potentially die. Ukraine is descending into civil war and this could prove to be the catalyst for war. NATO has war games scheduled in Ukraine in June and July. Will Putin allow for the consolidation of NATO military forces within Ukraine and so close to Russia’s border without responding? Will it mean war? Yet, we are more concerned with Donald Sterling’s racist revelations. And by the way, it was just revealed that nearly 50 million Americans face food shortages in the present time and the majority of the victims are children and most of them are non-white. Now, this is a story that deserves wall-to-wall coverage. As Obama increases armaments for Ukraine, while black children are starving to death in America. Where is the media outrage? I know all that I need to know about Donald Sterling. He is a pathetic individual armed with a belief system that died out over a half a century ago. If you grow weary of the media distractions, then turn off your mainstream media television and get your news from the people who only have one agenda, the restoration of our fallen Republic. And I am taking about Steve Quayle and Doug Hagmann, not Glenn Beck or CNN or Fox News. I would ask that Americans unite in what should be a momentary condemnation of Donald Sterling. All Americans from all demographic groups then need to move on and unite against the real class warfare that is going on inside of our country. Soros and Brzezinski are your true enemy, Sterling is only a sorry distraction. 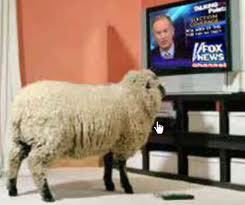 Do not buy into the divisive messages of the corporate controlled media. Turn your TV off!